The president's sagging poll numbers aren't his real problem, says The Daily Beast's Nicolle Wallace. It's that his White House is out of touch, just as the Bush team was sometimes. You can overcome sinking poll numbers. Negative press comes and goes. But when the public no longer sees you as someone who understands the problems the American people are facing, you’re trapped inside the presidential bubble—and you’ve got a serious problem on your hands. This summer, President Barack Obama became a full-time resident of the bubble. And he’s going to have a hard time climbing out. The plummeting approval numbers are not the crisis pundits and political opponents suggest; polls turn around based on events and legislative triumphs. But falling out of touch with the gritty reality facing a majority of families in this country is like falling out of love. It’s often difficult—if not impossible—to generate the starry-eyed adoration and trust again. As an alumna of President George W. Bush’s senior staff, I’d say that we succeeded in pulling back the curtain some of the time—and failed miserably other times. The president has an astute and skilled staff. But they bear much of the blame for allowing him to become detached from political reality. Take the flap over the back to school address, for example. The protests to Obama’s planned talk have very little to do with schoolchildren or classrooms. Most people agree that the president is entitled to urge kids to study hard and stay in school. But someone deserves blame for creating an additional political headache for Obama by letting an instruction to have students “write letters to themselves about what they can do to help the president” accompany the announcement. It’s likely that the failure lies with an overworked White House staffer who missed the glaring red flag—language that should have stood out to anyone paying attention to the debate that’s raging in this country about the role of government in American life. • Mark McKinnon: Flunk the Far RightIt’s a similar story with health-care reform. All White House staffs are exhausted, and I can’t imagine the Obama White House is doing anything less than burning the candle at both ends. But one of the most vital responsibilities of the senior staff is to provide a president with that final “gut check.” The chief of staff and other top advisers must pull back the curtain for a president and show him where the vast majority of Americans stand on the most important issues facing the country. But judging from the response the public has been giving Obama’s health-care reform plan this summer, he didn’t see the freight train of opposition coming. I know a little about the bubble; I’ve seen it from the inside. As an alumna of President George W. Bush’s senior staff, I’d say that we succeeded in pulling back the curtain some of the time—and failed miserably other times. In certain instances, our failures were due to incompetence, and at other points, we failed to grasp the depth and breadth of public sentiment. In early 2005, when the public was growing frightened and discouraged by the violent events and images coming out of Iraq, we squandered the president’s political capital with a failed attempt to reform Social Security instead of shoring up support for the difficult days ahead in Baghdad with frequent and straightforward assessments of the challenges there. In all cases, the consequences of being out of touch with the American public were devastating. It’s not clear why the administration abandoned its focus on the economy from a message perspective. It would have proven helpful this summer as evidence mounts that even if Obama presides over a recovery, it will be a jobless one. The exploding deficits offer a challenge as well. I spoke to several small-business owners over the last month. All of them voted for Obama in November, but they’ve become increasingly concerned about his instincts to grow and empower government. They reminded me that in 2006 and 2008 Democrats were able to beat Republicans with the “ballooning deficit” stick, winning over conservatives and independents in the midterm and presidential elections. What a difference an election makes in how a party views deficit spending. Obama's campaign performed brilliantly when it hit bumps in the road. His message of hope and change seemed to lift him above the grimy campaign trail, up to a better place—where the air was cleaner, the breeze was cool, and the media assured us of this bright young star's many virtues. But the reality of leading a mostly centrist country facing real and urgent problems seems to have thrown the president's team to a perilous place: out of touch with the mainstream of American values and priorities and into the dreaded presidential bubble. 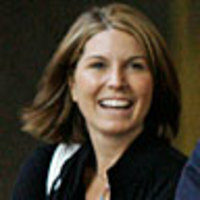 Nicolle Wallace served as a senior adviser to the McCain-Palin campaign from May to November 2008. She served President George W. Bush as an assistant to the president and director of communications for the White House, as well as communications director for President Bush's 2004 campaign.